USDJPY remains in the uptrend from 112.23, the pullback from 113.70 is likely consolidation for the uptrend. As long as 113.00 support holds, the uptrend could be expected to continue and next target would be at 114.00 area. 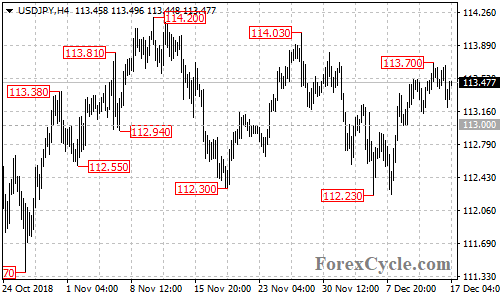 On the downside, a breakdown below 113.00 support would suggest that the upside movement had completed at 113.70 already, then further decline to 112.00 area could be seen.